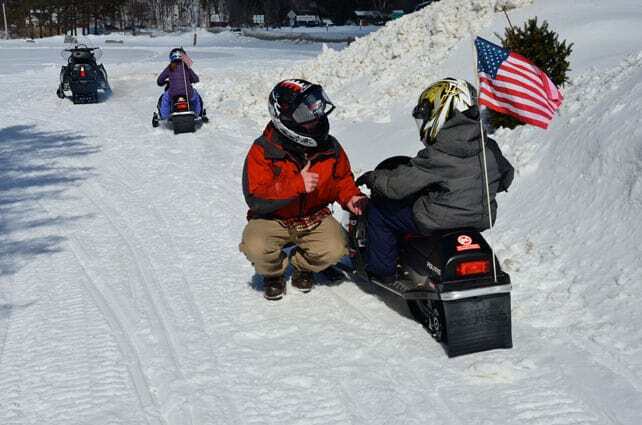 Kids prepare for a guided snowmobile tour driving their own small sleds at Vermont Snowmobile Tours in Killington. Child size snowmobiles are available at Killington and Okemo. The Grand Opening of Okemo’s Sunburst lift was held at 10 a.m. Saturday, Dec. 13.